PPS-43 Polish Spare Parts Kit. 7.62x25mm Soviet Cal. Used, good condition. Serial numbered parts may or may not match. 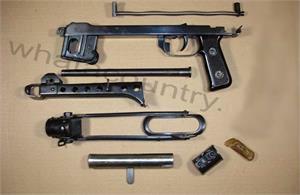 Kit comes with original intact barrel & folding stock. Front trunnion and receiver not included.